Date: Apr 15 2019, 9 a.m. - 10 a.m. 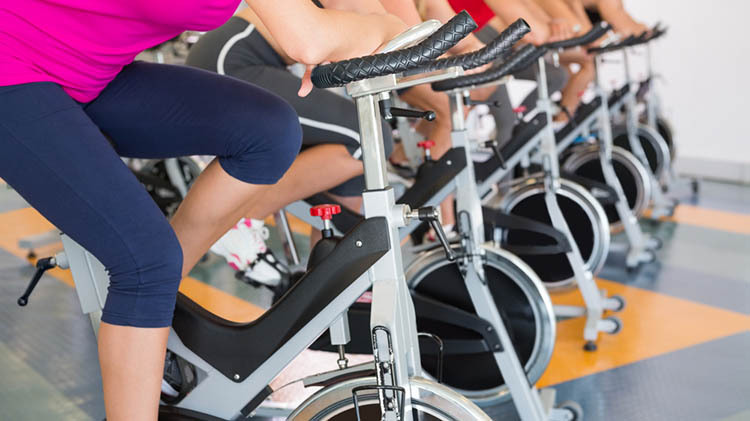 Spin is a non- to low-impact cardiovascular workout that takes place on a stationary bike in a group setting. Each individual works at their own fitness level engaging in timed and/or choreographed drills to increase aerobic fitness levels and better their overall health. Beginners and experienced bikers will love this sweat-to-the-beat cardio workout. This class is done with varying genres of music to motivate the cyclist for approximately 45 minutes to an hour of fun. Spin does not require great levels of coordination and is appropriate for men and women of all ages and abilities.